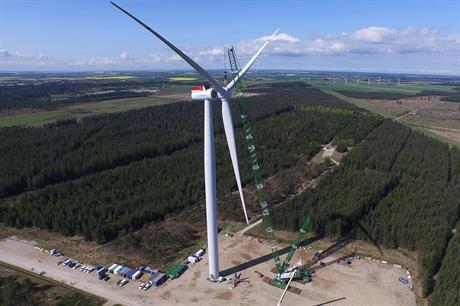 DENMARK: The Danish Energy Agency (DEA) has launched a pilot scheme to foster development of new offshore wind technologies. DEA special adviser, Peter Sehestedt, told Windpower Monthly: "The intention is to attract as many high-quality applications as possible from the global industry, in order that new solutions are established that accelerate the reduction of costs in the wind industry." In total the DEA plans to host up to 50MW of new technologies that could help lower Capex or operating costs. This creates a broad envelope of new technologies, which could be applicable for support — from foundations and turbines to transmission elements and service systems. Sehestedt explained that the programme is an extension of Denmark's testing facilities — enabling important demonstration projects to be established for proving technologies in their intended environments. Sehestedt said prototypes could be installed at the Horns Rev 2 and Rodsand 2 projects, where 15MW of transmission capacity from the platform to shore is reserved for test projects. Alternatively, candidates may propose their own test locations. Although applicants will have to finance preliminary site investigations and grid connections themselves (if required), chosen projects will be financed via a premium price supplement that guarantees DKK 0.70/kWh (€0.09/kWh). "The test scheme is a very positive concept in the Danish offshore wind energy planning practices. It will also be a new experience for the offshore wind industry, as the attending companies will not compete on price, but on the innovativeness and the ability of the submitted projects to contribute to lowering cost of energy." a DEA spokesperson said. The deadline for applications is 15 October 2015. The DEA expects to have made its first selection of projects by the end of the year.